Happy (almost) Thanksgiving to all my friends in the States! 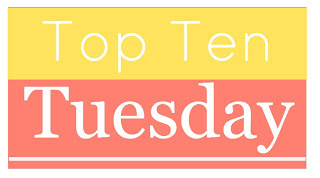 Canadian celebrate in October, but I couldn't pass up this wonderful Top Ten this week! Dear Teen Me: This is a recent release that I read for a blog tour. Absolutely amazing! I laughed and cried. I realized that I wasn't alone during some dark times in my teen years. I am thankful for the authors that compiled this book and released it for the Teens of today. Holly Schindler: This author has only released 2 books at the moment. A Blue so Dark and Playing Hurt. Both have been some of the most powerful novels I have ever read. She shined the light on mental illness,. And also made it okay to follow your heart instead of your head! 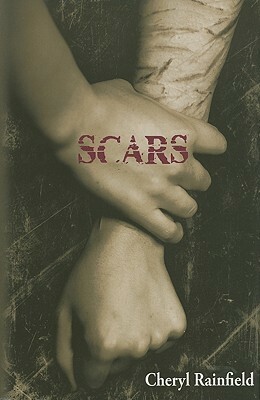 Cheryl Rainfield: She wrote the powerful novel Scars. Again, another author that shined the light on something I was in the dark about. Her novel was a powerful, intense tear-jerker. I read it back in 2010, but I am left still thinking about it today! Stephanie Meyer: It was The Twilight Series that re-ignited my love for reading. I was a library and bookstore rat when I was a child and Pre-Teen but can't remember one book I read (that wasn't for English Class) in high school. When I about The Twilight Saga , the first 2 were already released. I decided to give it a go, and haven't put down a book since! John Green: I'm sure I won't be the only one with him on the list! I am thankful for him in so many way! His writing. His books whisk me away and place me in an entire different world! 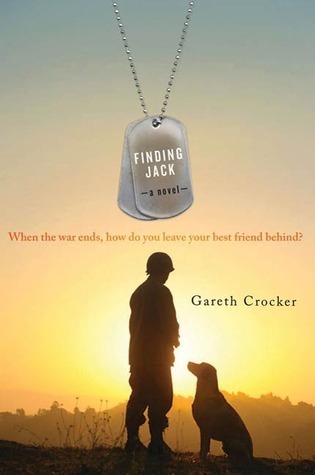 Finding Jack: This book is Gareth Crocker. Being an animal lover, I knew I would love it. What I didn't know was what happened with War Dogs. This book brought something I am still so passionate about to my attention. What a person will do for their dog! Dear Bully: Again, another wonderful collaboration of authors gathering together to help but an end to this horrible thing called Bullying. If I Stay by Gayle Forman: This remains one of my Top 5 favourite novels. And I'm sure it is to many other readers! This book brought out so many emotions in me. There are only a few books that I am very passionate about, and this is one of them! The Art of Racing in the Rain: By Garth Stein. Being an owner of 2 dogs, I feverishly wonder what they are thinking. Thank you to Garth Stein for giving me a little light into a dogs mind. 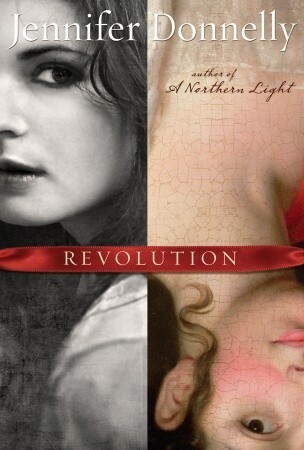 Revolution by Jennifer Donnelly: This is my favourite novel of all time. This book was a teacher in so many ways. On mental illness, on love and loss and what the power of love can accomplish. I completely feel the same way about Dear Teen Me, Twilight, and Revolution! I have John Green on my list too. He is a completely brilliant and amazing person! Love him! Nice list this week!